La carte montre les incidents de sécurité avec le niveau associé de gravité pour un certain nombre de communes (correct à partir du 22 Octobre). La carte montre les endroits difficiles à atteindre les secteurs, en voiture et la population rurale totale (correct à partir du 22 Octobre). 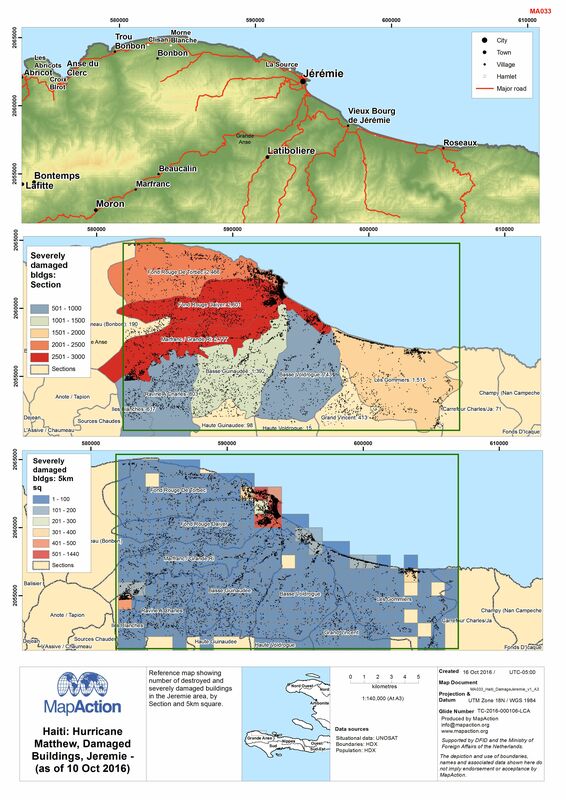 Reference map showing number of destroyed and severely damaged buildings in the Jeremie area, by Section and 5km square. 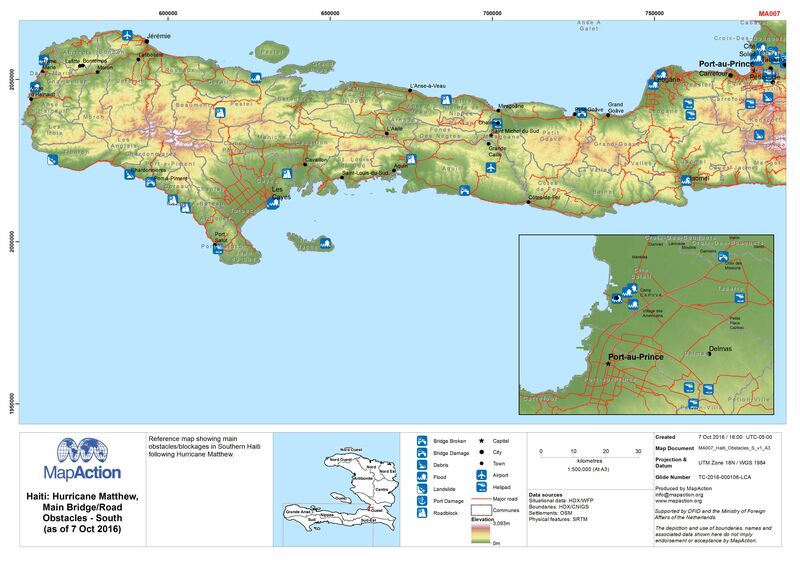 Editable powerpoint reference maps of Haiti. 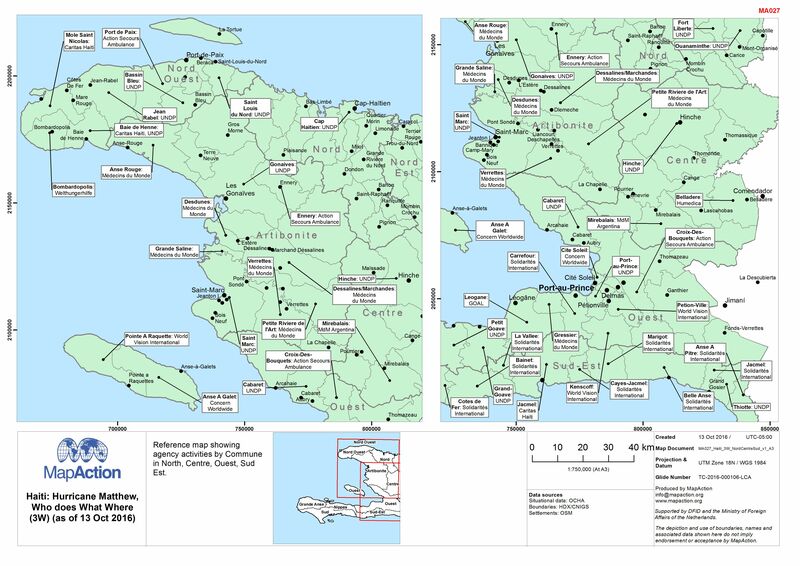 Reference map showing agency activities by Commune in North, Centre, Ouest, Sud Est. 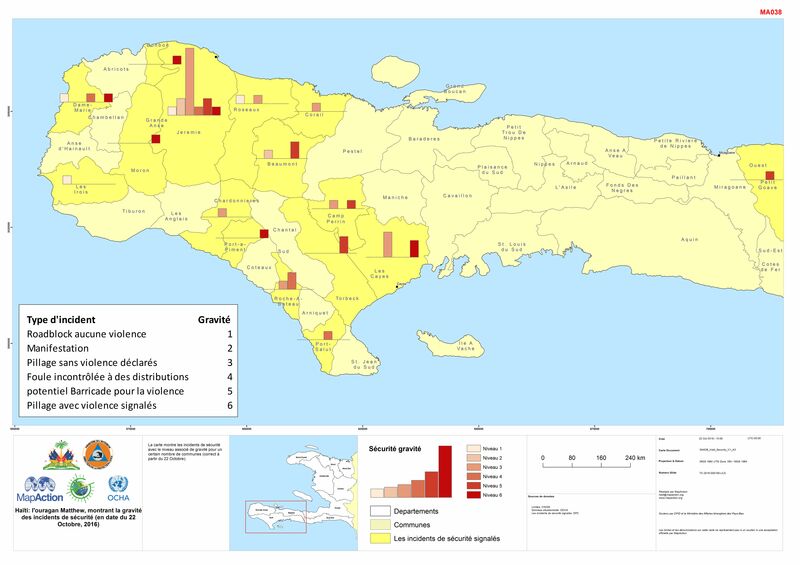 Selected settlements in Sud showing no. 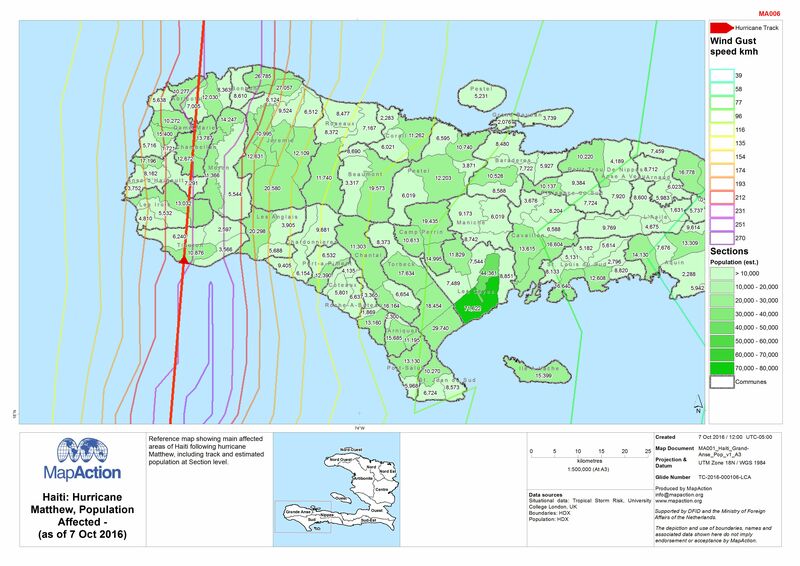 of buildings completely or partially destroyed, based on Copernicus analysis. 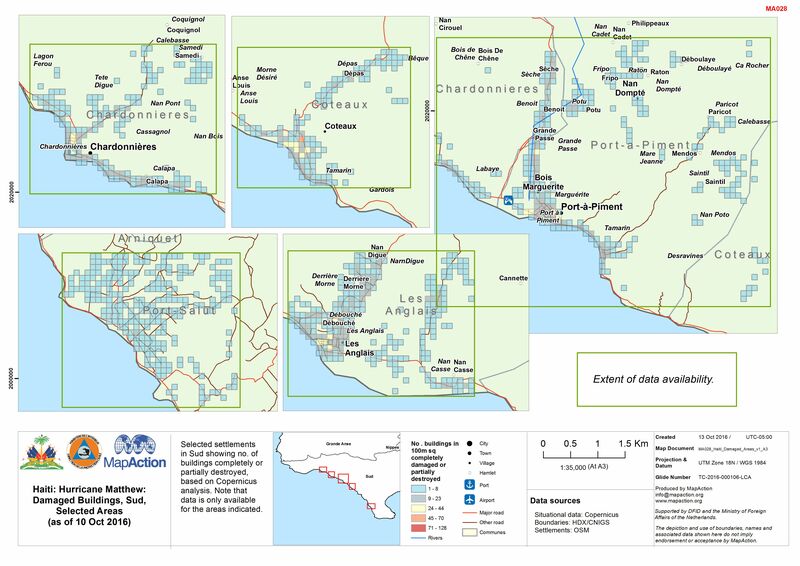 Note that data is only available for the areas indicated. 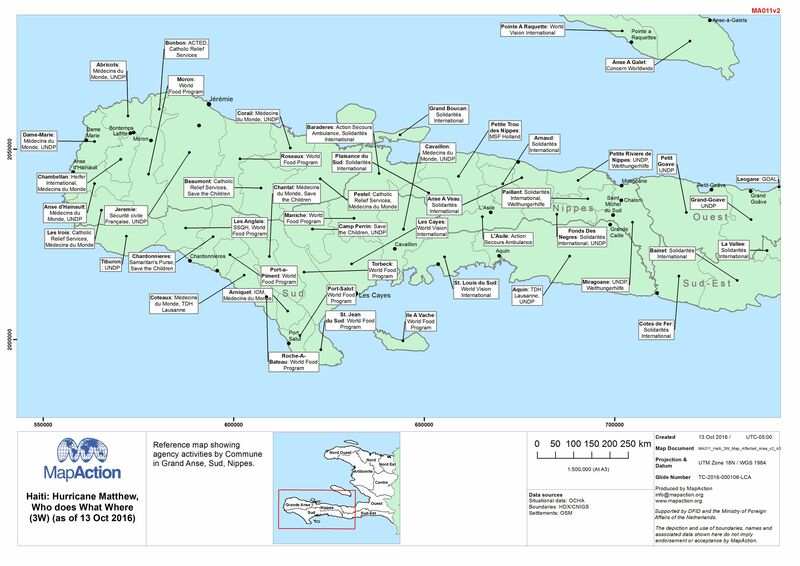 Reference map showing agency activities by Commune in Grand Anse, Sud, Nippes. 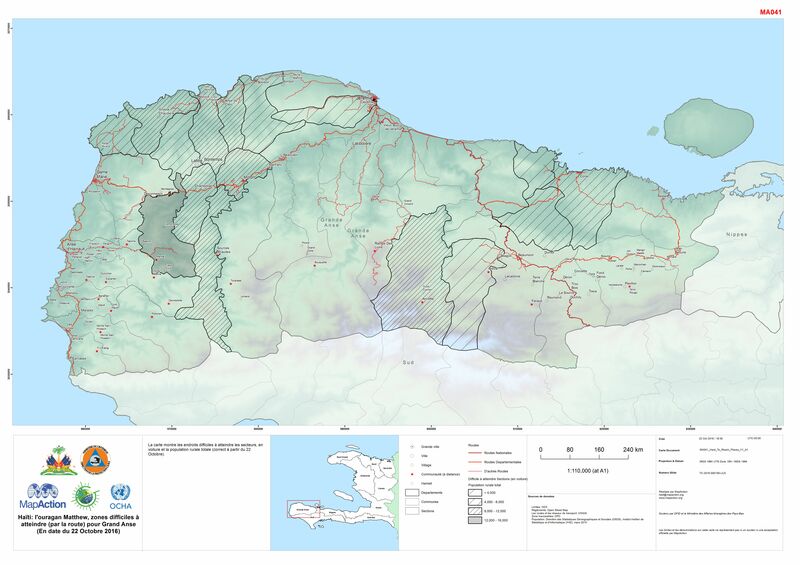 Reference map showing agency activities by Commune in Grande Anse, Sud and Nippes. 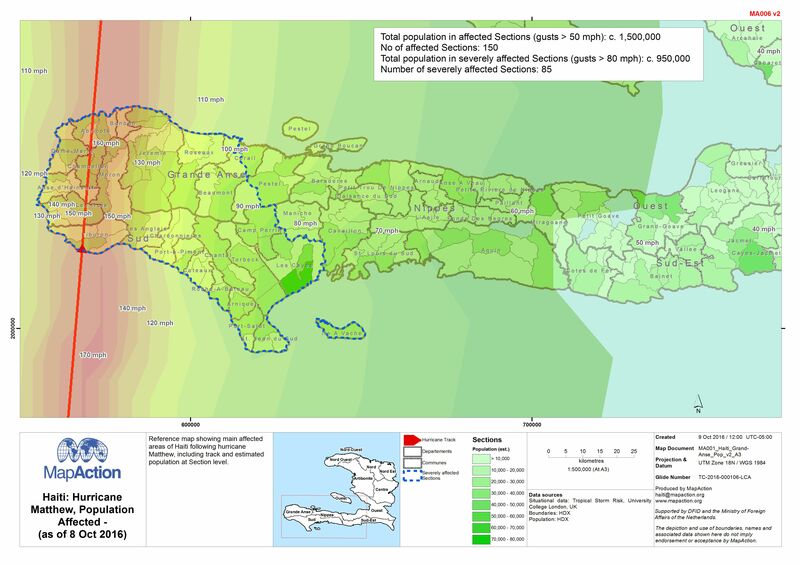 Reference map showing main affected areas of Haiti following hurricane Matthew, including track and estimated population at Section level. 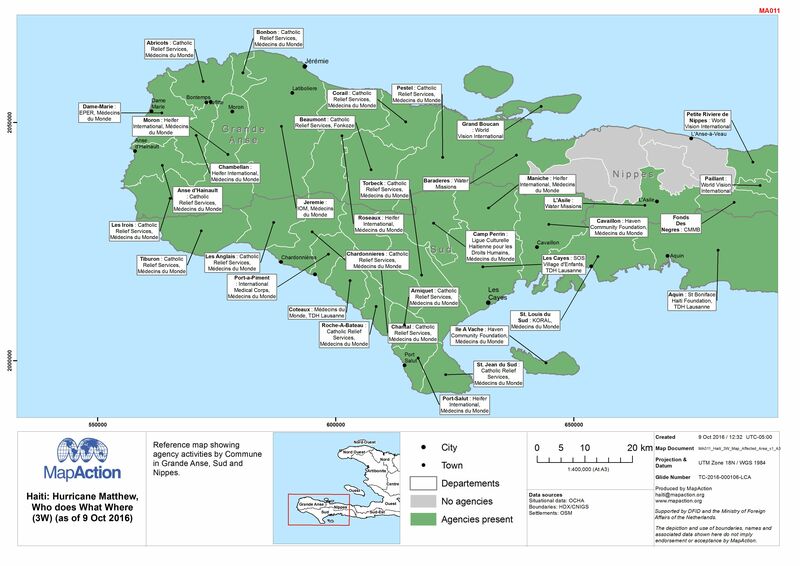 Reference map showing main obstacles/blockages in Southern Haiti following Hurricane Matthew. 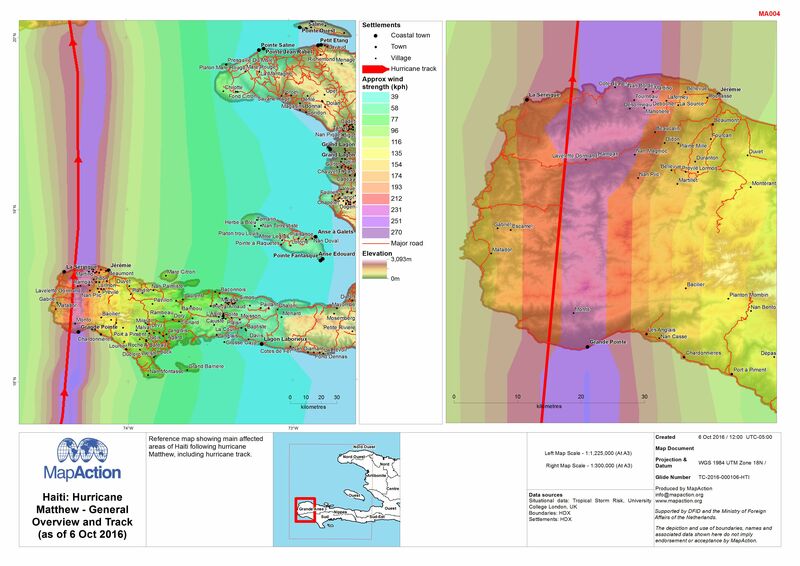 Reference map showing main affected areas of Haiti following hurricane Matthew, including hurricane track. 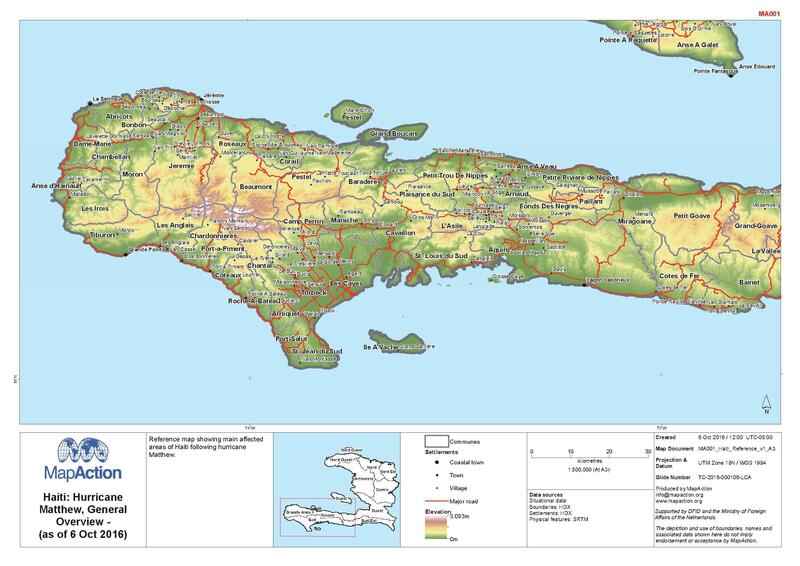 Reference map showing main affected areas of Haiti following hurricane Matthew.